I had said in an earlier review that only one episode was really stand out in excitement this season, and that episode was the premier, “The Ghost”. I neglected to mention this because I was hoping the season finale, this week’s episode, would tie back to that episode, which it did. All points of the season have converged: the framework, the doctor, AIDA, the Darkhold and Ghost Rider. The real highlight of this episode was, strangely, the action sequences, which usually suffer from being a small screen effort. To be fair, this show isn’t Golden Globe worthy, but it is good popcorn entertainment that never feels insultingly stupid. Until this point no episode, beside “The Ghost”, really wowed me, but Ghost Rider is the most exciting character introduced since The Punisher showed up in Daredevil. Seriously, he’s a badass. Ghost Rider has a really good look, considering the lower budget TV CG limitations, and he looks much better than the Nicolas Cage Ghost Rider. 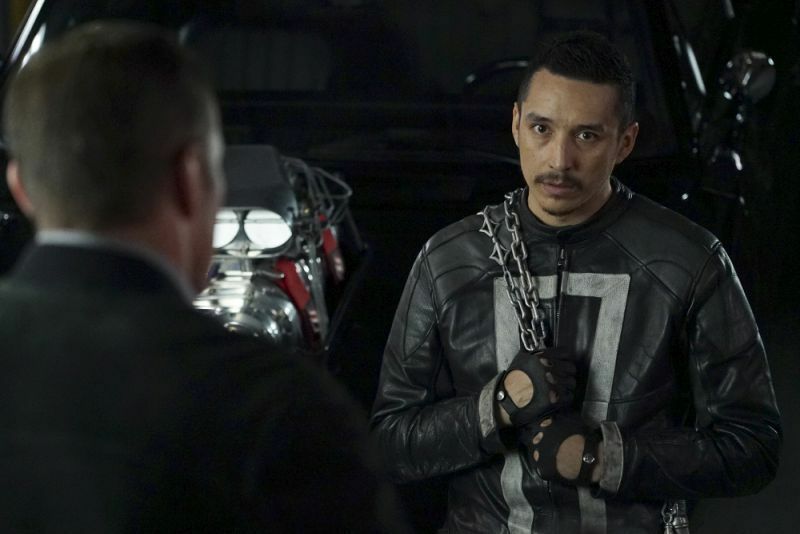 Robbie Reyes is a great Rider. He isn’t so stock, like Johnny Blaze. Robbie has character, motivation, he’s portrayed by a good actor, he has stuff to do that affects the overall plot; he’s a character. I, personally, think social justice/pushing for diversity has been a tremendous detriment on the comic book world, but Robbie doesn’t feel like a token. He’s easily my favorite character introduced in this series and while his race is important to his character, he is very organic, like all other characters in this show, and I’d love to see a Netflix Midnight Sons with Blade and Ghost Rider (for realistic budget reasons). Basically, this show is diverse, but nothing is forced and it comes off like the Star Trek diversity, not the modern definition. So all the exposition and set up is out of the way, this week seems to focus, almost entirely, on action spectacle. Sure, there are a few character moments, but largely what moved the plot forward was big action, which is, strangely, refreshing. It is an action show, yes, but this was an almost nonstop action episode. The only time there wasn’t action was when the characters devised a plan to use violence to solve their problems, which I have no problem with. So it wasn’t just action packed, because too much action is boring, also bad action is infuriating, but it was gratifying action, with good choreography, neat effects, and a clever use of combos, for lack of a better word, from the team. I’ve always said the core of this show is teamwork, and this episode was no exception. When this show first aired it was sluggish, generic and failed to establish its own identity, so I gave up after 6 or so episodes, despite my anticipation for the series. Little did I know that the first half of the first season was done stylistically to tie in with the, then upcoming, Winter Soldier, which is good for the viewer that likes a slow burn. After that, the show became the Agents that it is today. It started out as a Fringe, X-Files, Star Trek clone, and established itself as a Marvel TV show that uses the Agents as a Mulder and Scully to seek out the ties to the greater marvel universe. While it isn’t Daredevil, it certainly is a fun and exciting way to expand the Marvel Universe balloon every season, and it has done a good job of bringing in the cosmic and mystic elements of Marvel’s rich history. All in all, World’s End is a fun and action packed finale to the best season in the Agents catalog. 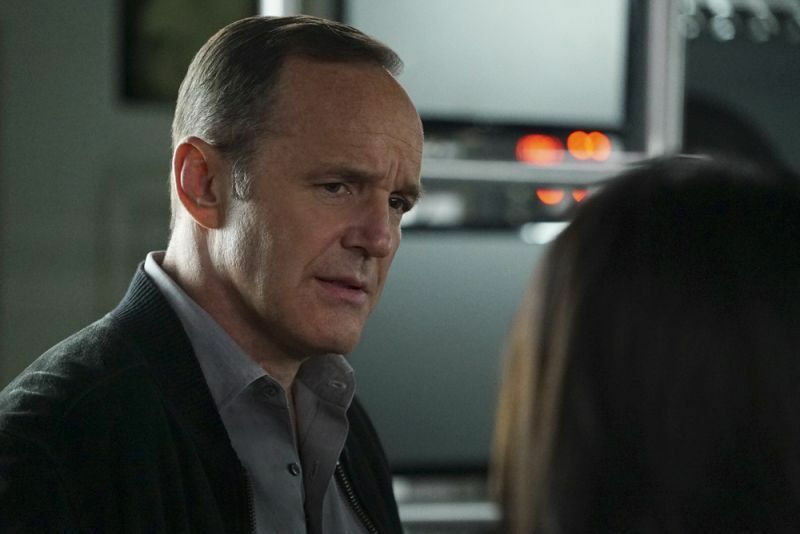 It gives the fans more of what we have come to want: a team dynamic, witty characters, Marvel mythology, fun action, and Coulson being clever, using his mighty brain to save the day. It is a solid ending to a solid season, and I want more, but I will gladly wait. In the meantime, I will look forward to the Defenders.